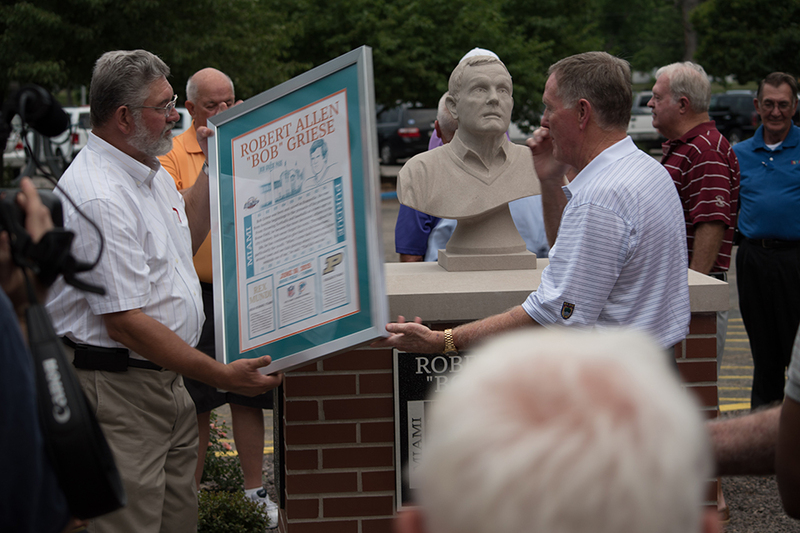 On Tuesday, June 16, the Tri-State Hot Stove League honored one of Evansville’s most beloved sports stars, Bob Griese before a large crowd outside of Bosse Field. 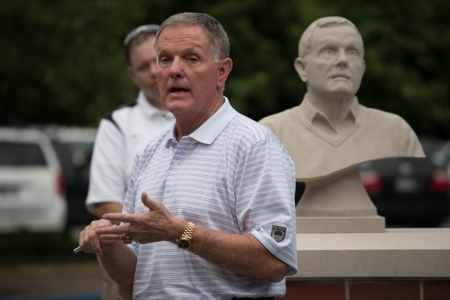 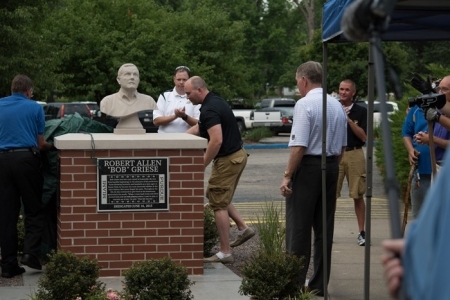 The former Maxwell Street was officially re-named “Bob Griese Pass” and a monument unveiled in honor of the football great who grew up in Evansville and went to high school at Rex Mundi. 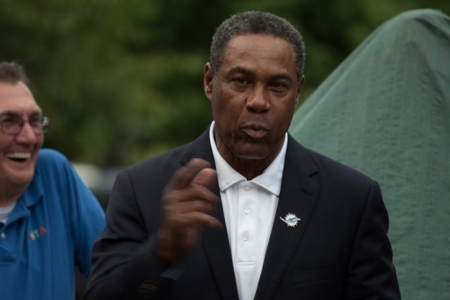 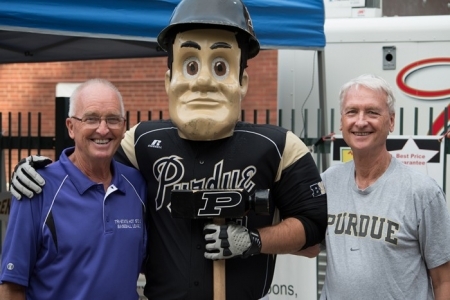 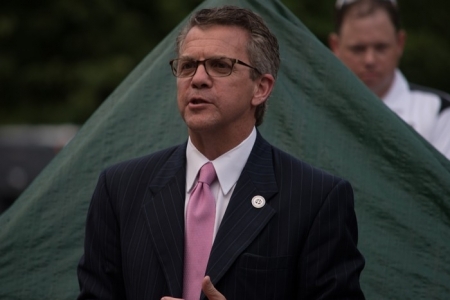 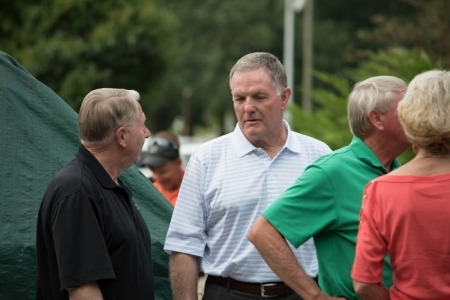 Among those in attendance were Miami Dolphins Senior Vice President and former teammate Nat Moore; former major league pitcher and Evansville native Andy Benes, current Purdue football coach Darrell Hazell, former major league manager Jack McKeon and Mayor Lloyd Winnecke. Photos from the dedication can be seen below.